Enterprise Architect supports a UML 2 export, which produces an XML file valid to the OMG’s UML specification. 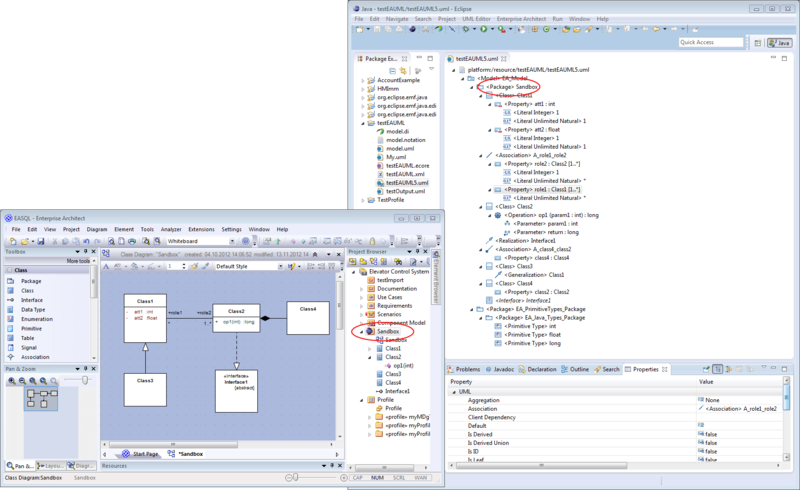 Nevertheless, it is not possible to open it with an UML editor of Eclipse without any modifications, because the Eclipse implementation of the UML2 metamodel differs in some places. In the context of the research project ARTIST, we developed an XSLT script, which can be easily added to Enterprise Architect as MDG Technology, for exporting a UML file. 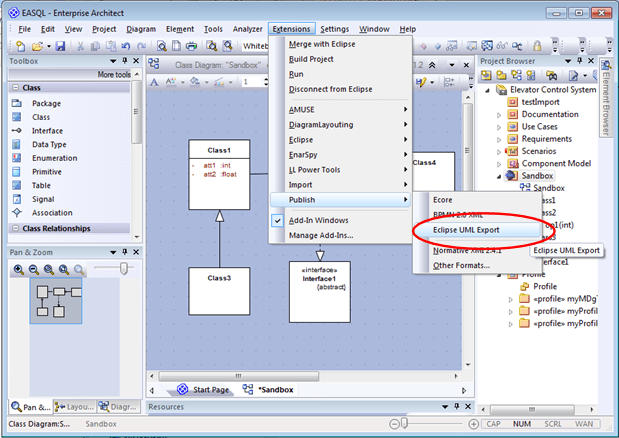 This file can be opened and edited directly in Eclipse, with traditional tree-based UML editors such as the UML2 project . Currently, Class Diagrams and simple State Charts are supported. In future, this script is automatically updated to support other UML diagrams, UML Profile applications and diagram information. For further information, suggestions or bugs please contact us! UML nicht über eine Datei in der EA erstellt. Wie EA müssen UML erstellen? Ich möchte wissen, wie UML-Datei in Eclipse erstellen. we used the instruction here above, but the export-file seems to be empty. Any idea what went wrong?